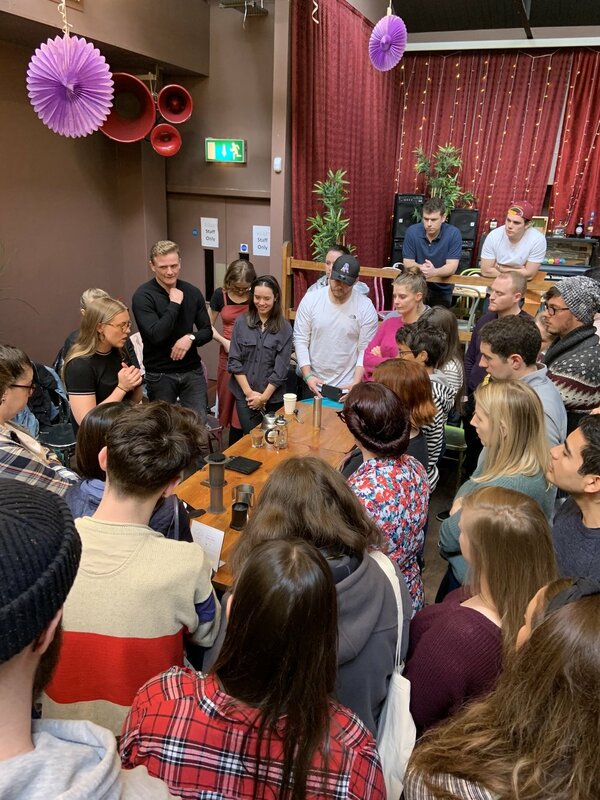 Our March tasting saw us collaborate with Brew Box - a new coffee subscription service and one of Dublins best know roasters - Cloud Picker for an exciting tasting event. 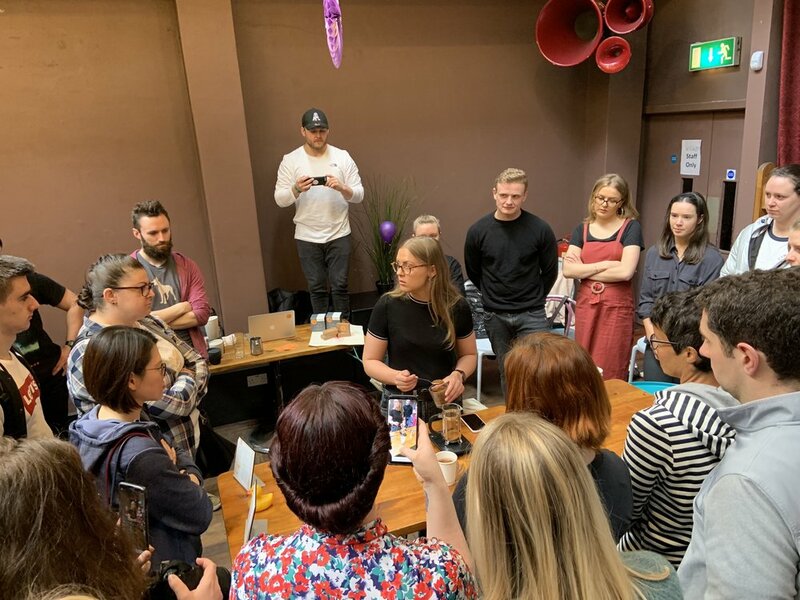 Brew Box is a monthly coffee subscription service that was launched in late 2018 by Roisin Culligan - a passionate barista that earned her stripes working in many of Dublins best cafes. As a Brew Box subscriber, you receive freshly roasted coffee from some of Irelands best know speciality roasters at the beginning of each month - delivered straight to your door. For the April drop - Brew Box teamed up with Cloud Picker coffee based in Dublin's docklands. Cloud Picker was established in 2013 by Frank Kavanagh & Peter Sztal. 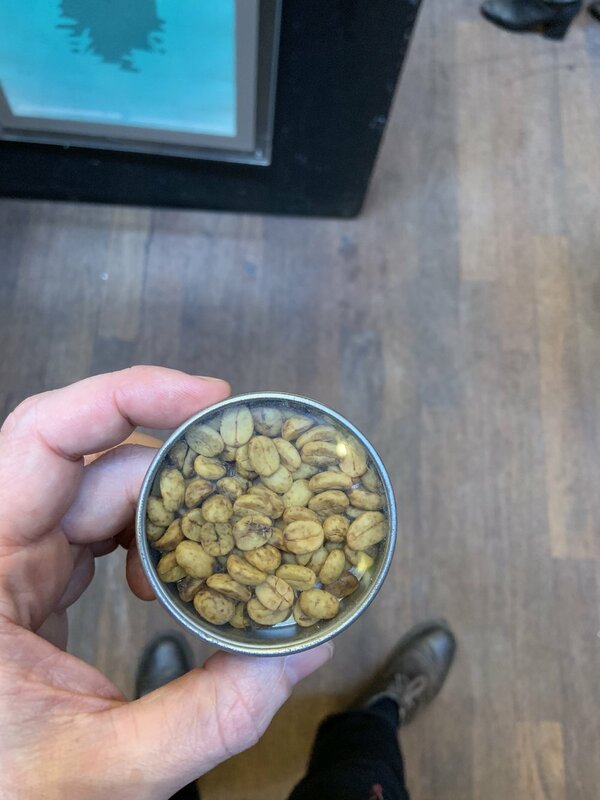 Having worked in graphic design and corporate banking respectively, they took the leap and opened up their own coffee roastery. The name Cloud Picker came from their trip to Northern Thailand where they visited a coffee farm in the Doi Chang area on the Thai / Burma border and where they went up through the clouds to see the coffee pickers! Cloud Picker was Dublin City’s first micro coffee roastery. The team hand roast to order on their esteemed Giesen roaster on Sheriff street, and also run their café at the Science Gallery (www.sciencegallery.com) on Pearse Street. Head Roaster James and Wholesale Manager Mike from Cloud Picker took us through their current portfolio - with a coffee cupping of origins that included Brazil, Honduras, Colombia, Ethiopia, Kenya and Thailand. To finish Roisin offered brewing demonstrations for all those avid home baristas looking to get the most from their beans - taking us through the perfect home brewing techniques for the French Press, Aero Press and mastering recipes for Nespresso compatible capsules. Lovely buzz and thanks to all for coming! Join us next Wednesday Dec 12th for our last cupping of 2018 with one of our all time favourite Irish roasters - Bailies. We'll have Celeste, Stephen & Ross from Bailies all down to talk us through some really special coffees that feature on their current mirco-lot list. There'll be crowd favourites like the Kenyan Kianderi & Ethiopia Yirgacheffe alongside a brand new Guatemalan Cup of Excellence winner - El Limonar. Entry is free - just sign up here and if you come early - you might just grab yourself a lil’ irish Coffee and mince pie! We had an incredible evening with Origin Coffee Roasters and Dan Fellows on Wednesday Nov 21st. 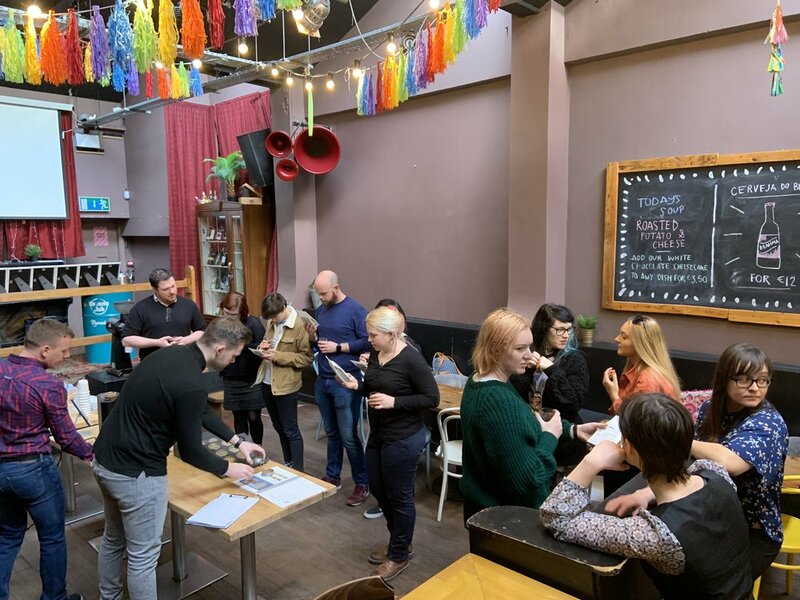 Dan Fellows - fresh from his recent win at the World Coffee In Good Spirits Champs in Belo Horizonte, Brazil was joined by Dan O’Regan, European Wholesale manger for Origin - for a cupping of their current coffee portfolio. 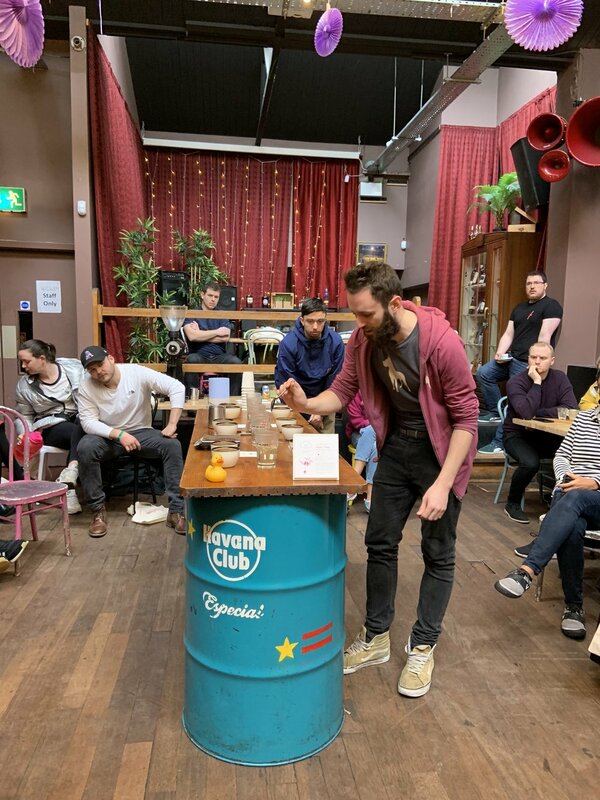 We were lucky enough to taste some wonderful coffees from Colombia, Nicaragua, Honduras, Kenya and a special release washed Geisha from Panama. After the cupping Dan jumped behind the bar & ran a pop up coffee cocktail bar showcasing 2 of his drinks from his routine in Brazil. His menu featured the Kyushiki - a Japanese Old Fashioned with Hibiki, plum liqueur, Jasmine cold infusion, Cachaca, Dark muscovado sugar syrup & lemon juice paired with a chilled espresso of the Finca San Antonio, Semi-washed, Red Pacamara, El Salvador. The second drink was the perfect cure for a cold and wet winters evening - the Caribbean Irish Coffee made with Balvenie 14yo ‘Caribbean Cask’ whiskey, Chivas Regal, Light muscovado sugar syrup, Coconut palm sugar syrup, organic double cream & a brew of the Finca La Huella, Natural, Yellow Pacamara, Nicaragua. An absolute pleasure to have the lads from Origin Coffee Roasters over & so great to try Dan’s winning coffees - a true speciality coffee champion! We have loads of epic coffees from Origin Coffee Roasters still in stock - so swing by and pick up a bag! Next event - BAILIES COFEEE BELFAST - Dec 12th for a cupping at 5.30pm - with Celeste Owens and Stephen Houston - bring you XXXmas cheer!!! 2018 marks the inaugural year of the newest festival to hit the streets of Dublin. With over 50 cafes, bars, restaurants and hotels taking part this year, its a wonderful way to experience the city through this gastronomic programme. 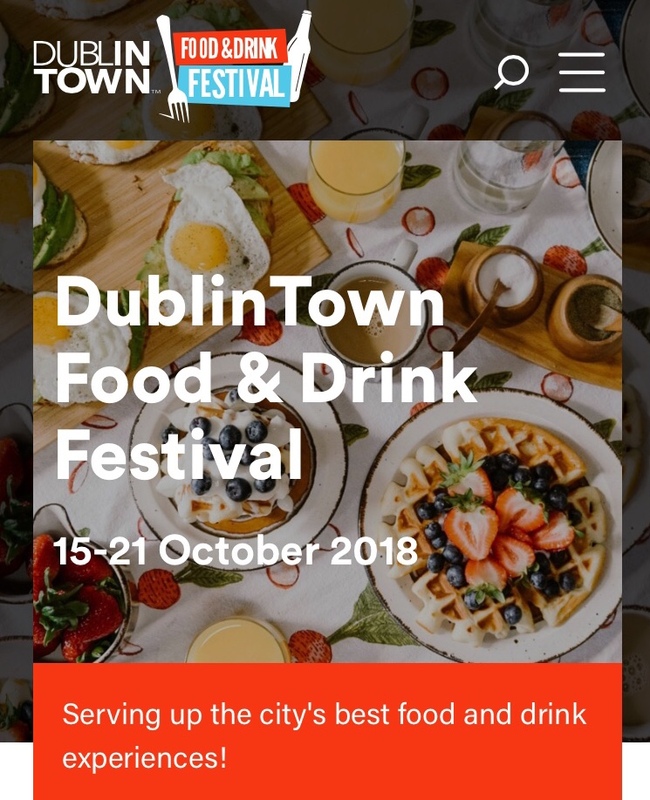 The DublinTown Food and Drink Festival is taking place this year from October 15th - October 21st. 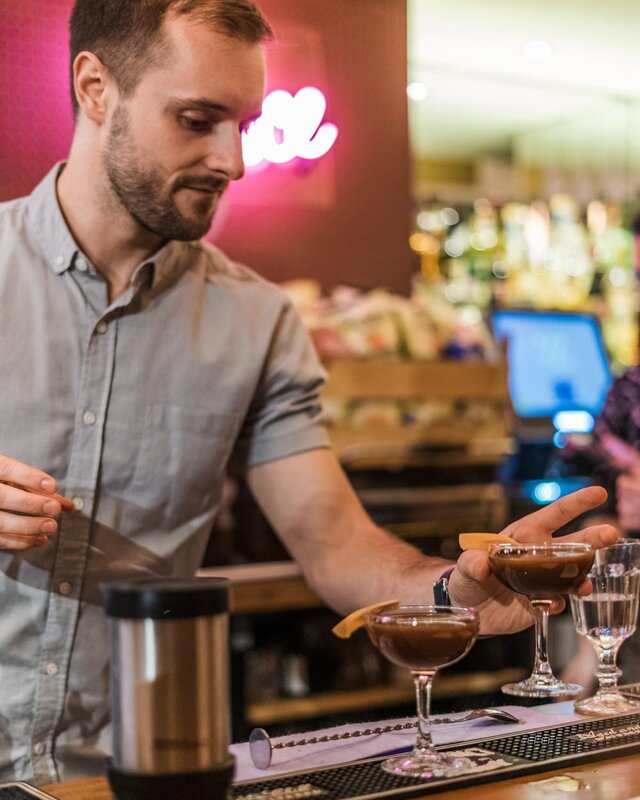 So many amazing cafes, bars, restaurants and hotels are all taking part by hosting incredible events or creating bespoke dishes, drinks and menus. We’ll be hosting 2 events during the festival week. Join us for a panel discussion about Dublins booming coffee scene with a panel of industry movers and shakers. This panel discussion chaired by Stephen Mullan - a familiar face to Dublins coffee scene - will trace the history and origins of coffee in the city. We'll look at the recent wave of Independent Speciality cafes and the overwhelming success of the international coffee chains in the city. Looking forward - we'll try and identify any opportunities / threats facing Dublin's coffee scene due to rising rents and Brexit! Join us to cup and taste a selection of the world’s finest coffees that have been roasted by some of Ireland’s best roasters. 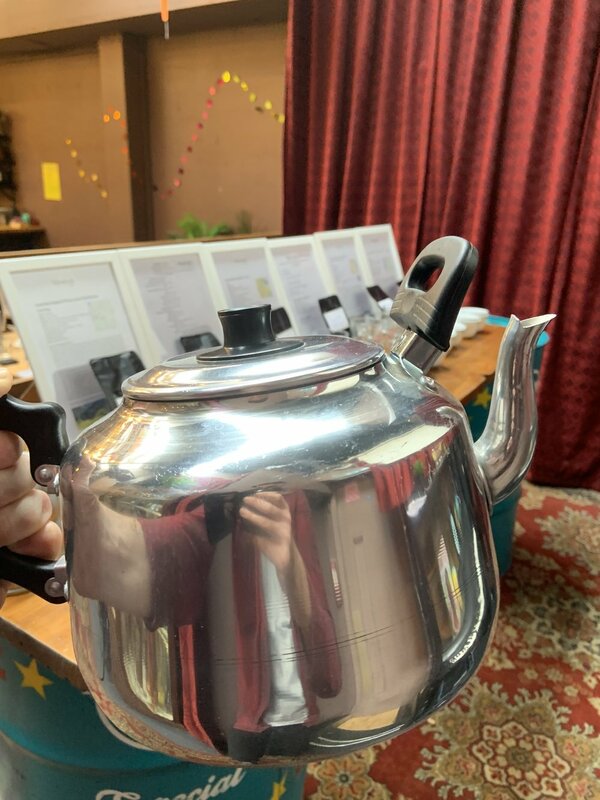 We’ll have coffees from a number of the most notable roasters in the country including 3FE, Roasted Brown, Cloud Picker, Full Circle, Calendar, Soma, Bailie’s & more. This will be the largest selection of Irish roasted coffees ever tasted together in one room – an event not to be missed for any coffee fan!